The staff welcome you to enjoy and pamper yourself in a relaxing and friendly salon. Unwind in a comfortable and easy going environment.They deliver an energetic passion and strive to make each individual feel special! 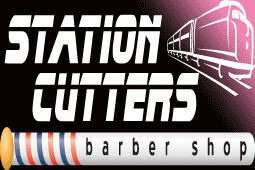 Peter has been in the industry for 25 years and specializes in all advanced hair cutting techniques. He can do absolutely anything with hair. He is a traditional Barber in a modern way, specializing in ladies cuts, latest styles and latest techniques. Peter has European background and has worked in Greece, Italy, Germany and Holland. Julie has been working in the industry for 15 years. She is a colour technician who specializes in foils, tints, tips. She is experienced in all aspects of colour and specializes in hair straightening, chemical and non-chemical. We offer Thermal Ionic straightening which is permanent for up to 6 months or Keratin straightening being non-chemical and lasts up to 3 months. Leading experts in human and synthetic hair extensions established since 1996, we've always been at the forefront of innovation in the hair industry. Trained by the best in the business, and has managed to work with top salons across Australia, as well as international hair show exhibits.